Once again, I came away deeply impressed with the wines I tasted during my annual visit to the Santa Cruz Mountains. Rugged hillside sites and an extraordinary range of microclimates confer tremendous personality to Chardonnay, Pinot Noir, Syrah and red Bordeaux varieties. There is little doubt the finest Santa Cruz Mountains wines are world-class in every way. Mother Nature was extremely hard on growers in 2015. Poor weather during flowering decimated yields throughout the region. Losses were regularly north of 50%. Yields were especially punishing for Pinot Noir, to the point that several estates, including Rhys and Fogarty, were not able to bottle some of their vineyard and block designates. Warm and dry weather during what turned out to be a brutal drought cycle accelerated ripening and condensed the harvest, which made picking decisions critical. Where they could, producers opted to pick early to preserve freshness. More challenges awaited in the wineries. Tiny clusters made sorting out whole clusters nearly impossible, while other growers were virtually obligated to use more stems than normal to fill their tanks. Interestingly, in tasting, it is the Chardonnays that reflect the personality of the vintage more than the Pinots. Quite a few Chardonnays feel distorted and too big for their frames. The 2015 Pinots are generally dark and rich, but as a group offer better balance than the Chardonnays. As a group, the 2014 Cabernets and Bordeaux reds are fabulous. The wines often show the natural stress of drought conditions. Even so, I found much to like in the 2014s. Readers should expect intense, tightly wound wines that are likely to require at least several years in bottle to be at their best. I tasted virtually all of the wines in this article during a trip to the Santa Cruz Mountains in late May 2017. One of our goals at Vinous is to offer unparalleled depth and perspective. I strongly believe there is no substitute for spending time in a region, observing the landscape, talking with producers and tasting wines in various stages of their evolution, all the way from tank samples to current releases to tasting library wines and older vintages. 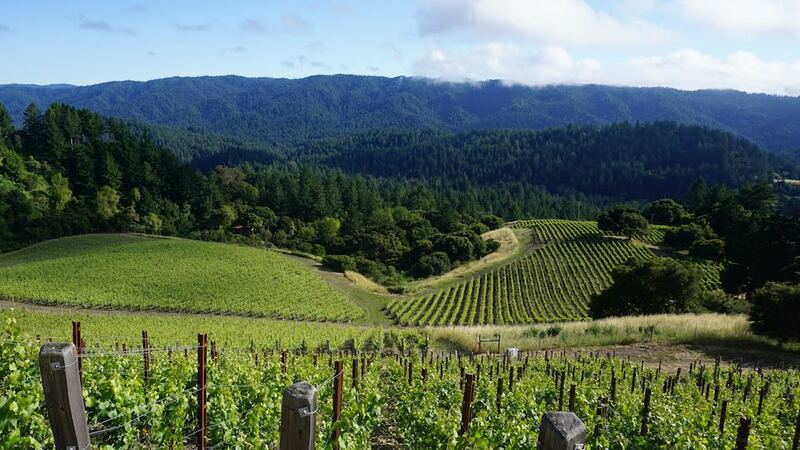 One of the challenges in reviewing the wines of the Santa Cruz Mountains is that so many of the best examples are made by producers in Sonoma and other regions. For ease of reference, reviews for all Santa Cruz Mountains wines I have tasted within the last twelve months can be found here. This article also includes notes for estates such as Calera and Big Basin that make wines outside the Santa Cruz Mountains. Lastly, neither Varner nor Neely showed their wines this year because of an ongoing issue involving those parties.